Edgewater by LENNAR, Richland Townships only new construction townhomes offering lakeside views! Edgewater is an enclave of 40 new homes nestled among locally owned shops and farmland. 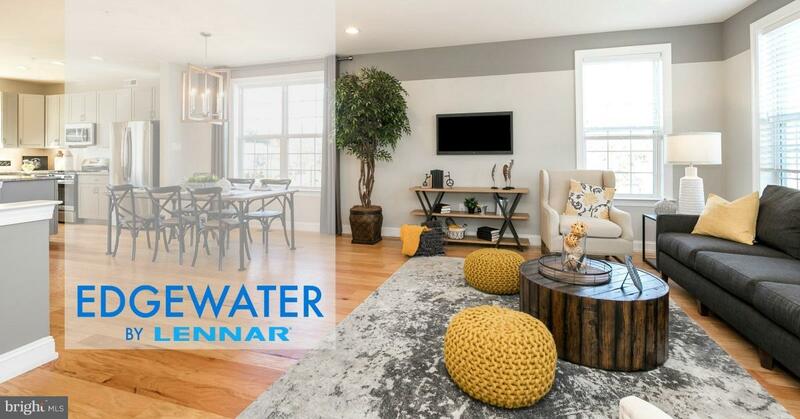 This new Townhome community offers its future owners an extraordinary lifestyle at exceptional value!This charming Bucks County neighborhood will feature luxury 3-story, 3 bedroom Townhomes featuring Lennar~s Everything~s Included~ program. This means, the most sought-after finishes and upgrades are included in the price of the home, saving you thousands of dollars! These include granite counters in the kitchen with 42 inch Espresso or Linen cabinetry, stainless steel appliances, refrigerator, washer/dryer in laundry room, ceramic tile flooring in baths, key less front door entry, smart thermostat, LED recessed lighting, and more! Located within the very highly regarded Quakertown Community School District, residents of Edgewater will have the best of both worlds. Surrounded by picturesque landscapes and a short drive to fun towns such as Quakertown, Perkasie, Doylestown, Allentown and major travel roads, 476, 78, 309 and 611. Pictures shown are not of actual home but a similar model and are for representation purposes. Construction of our first homes is set to begin late winter 2019.